Dr. Chitakure reads from a chapter of his new book. 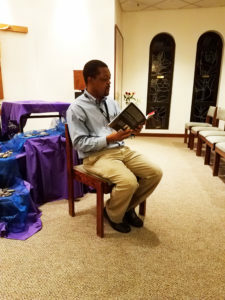 Dr. John Chitakure, associate professor of Pastoral Theology at MACC recently published his memoir, “The Audacity to Dream: Stories from an African Immigrant.” During the Racism Workshop, Dr. Chitakure read from a chapter of his new book to workshop participants, which revealed some of the challenges he faced trying to find work when he arrived to the United States. Is there something specific you hope readers gain/learn from your memoir? The Audacity to Dream: Stories from an African Immigrant is a story of my dream and struggles to attain an education and human dignity. When I look back at those struggles now, I think that the most significant lesson that I have learned is that, most dreamers fail to achieve their dreams because good people do nothing to assist them. At times, this failure to act by good people is caused by such people’s lack of time and empathy to listen to the dreamers’ stories. Once you look another human being in the eyes and listen to her/his stories of wanting to achieve human dignity, you can never remain indifferent. I am where I am now because so many great people were willing to listen to my stories. It is my soul’s desire that readers of my memoir be transformed and encouraged to listen to the stories of the marginalized. 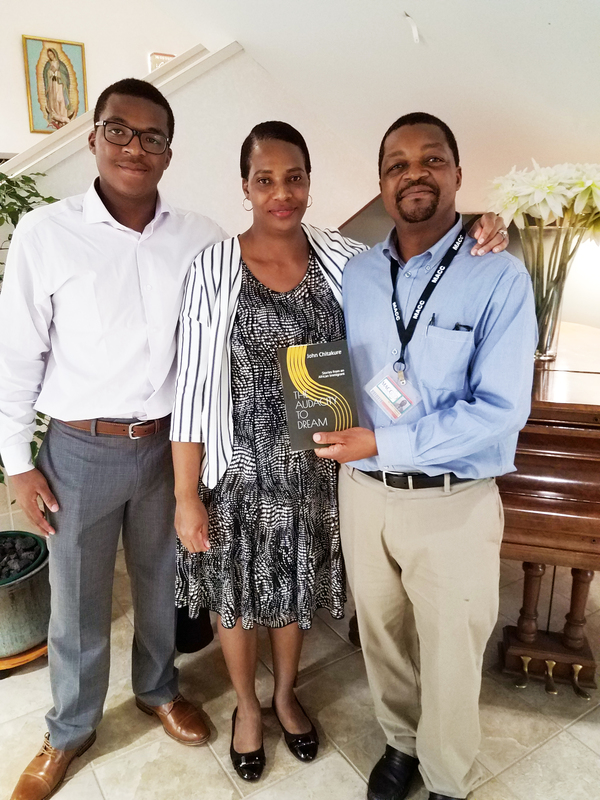 Dr. John Chitakure with his wife, Blessing Chitakure and his youngest son, Mufaro Sean Chitakure. What is your favorite part about working at MACC? MACC is an intercultural College where students and employees from diverse cultural backgrounds converge. Working at MACC, particularly at this period, when our society is more polarized than united, reminds me of two things. First, that I am not alone in my efforts to learn a new culture—many other people walk the same path. Second, as I continue to interact with students, staff, and workshop participants from diverse cultures, I realize that it is possible for people of different cultures to share ideas and work together with respect, tolerance, and love. MACC embodies all these virtues. African Traditional Religion Encounters Christianity: The Resilience of a Demonized Religion (2017).